Hello! Hope everyone had a great weekend. Since we were stuck in the house because of a wintery snowstorm, we were fairly domesticated. 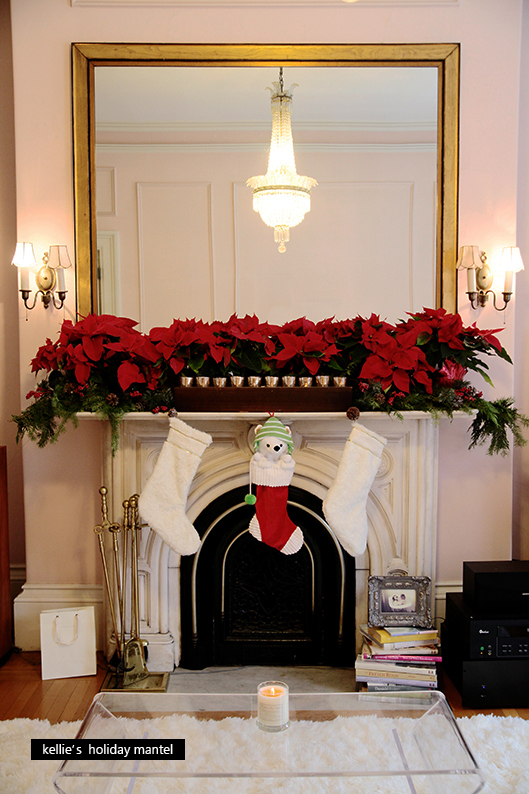 Daddy and Z sewed white X-mas stockings while I put all the pieces together to create the most festive mantel ever! 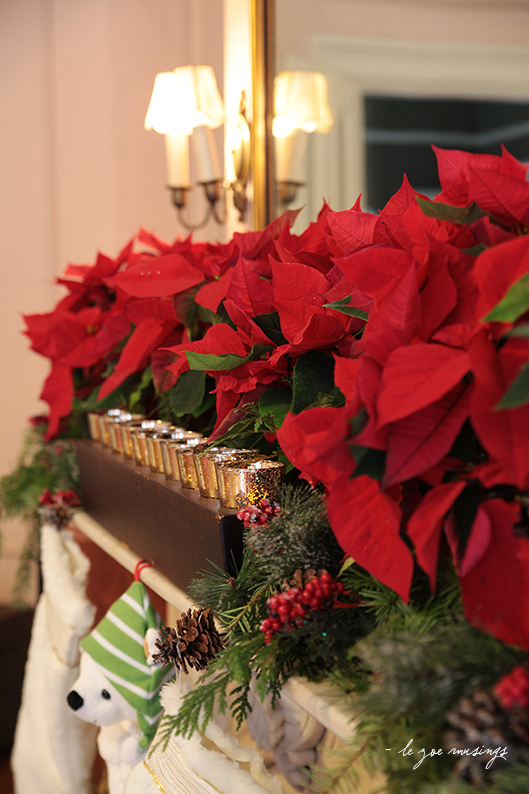 Mantel details: fresh poinsettias + cypress garland, dried pine cones, faux berries, and gold tea candle holders. The scent of fresh cypress is so perfect for the holidays! 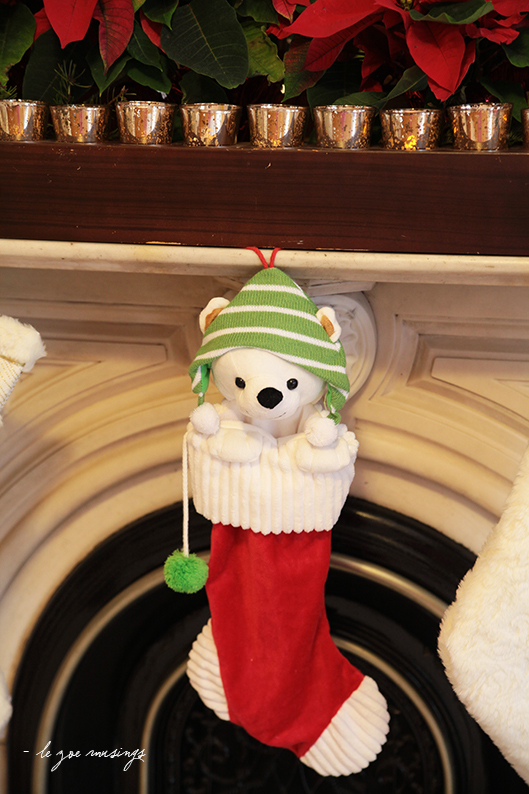 This cute bear stocking was gifted to Zoey from Aunt Helen. Our Z, so grown and ready to fill her role as big sister in just a few short months! Love this! Your house looks like such a perfect winter wonderland. I am in love with that gold/wood candle set. Do you know where you got that from? Okay, it melts my heart a little to see Zoe with my candle…What a cutie pie! She is such a young lady!! 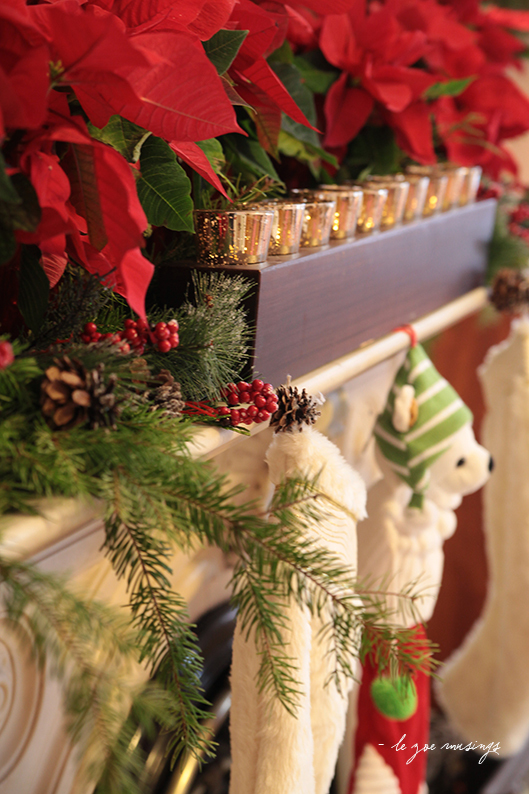 Your mantel/home is so filled with Christmas warmth!!!! The stockings are so perfect!!!! Christmas Blessings to you all……..and hugs……. That´s cute, you have quite a little genius at home. You are amazing. I wish I had your ability to create such beautiful spaces. And Zoey is adorable as always. She’s growing into quite the young lady.